The ol' Flycatcher bar, on the corner of Sixth Street and Fourth Avenue, may soon be a seven-story apartment complex. 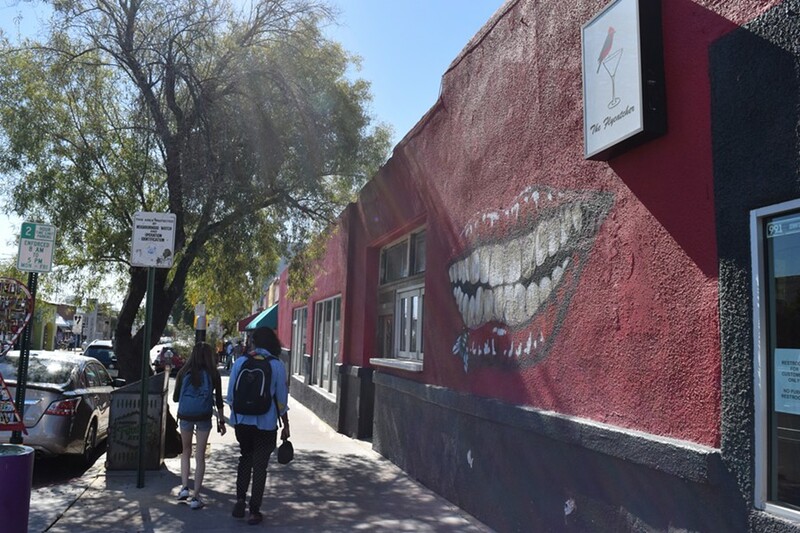 The Flycatcher bar on Fourth Avenue may be torn up for student housing as early as this summer. The downtown hotspot is under contract with student-housing development company out of Memphis, Education Realty Trust Inc., or EDR. A neighborhood meeting was held on Wednesday, Feb. 7, where legal representatives for the company told local residents and business owners the seven-story project would not be student housing—an assertion that was met with skepticism from Tucson City Council member Steve Kozachik. EDR, who also built the District on 5th, is a student-housing development company. But they are avoiding the “group dwelling” designation, used for student housing and requiring the approval of mayor and council. By renting units by the room rather than by bed, EDR could have more flexible development options and skirt parking, loading and landscaping standards, which include dimensional requirements and height increases—although the rooms will likely not be affordable to locals but only students living on their parents’ out-of-state paychecks. The developers are using the more flexible designation of “multifamily dwelling” according to Fourth Avenue Merchants Association Executive Director Fred Ronstadt. The timeline EDR representatives laid out at Wednesday’s meeting had the groundbreaking set for sometime this summer. Ronstadt says the developers plan on keeping 7,000 to 8,000 square-feet of retail, and that they seemed open to local retailers. “We certainly want to make sure any new retail they bring in is local,” he says. Student housing or no, EDR would have to meet certain design codes meant to keep downtown’s authenticity. Kozachik says design is not the issue; it’s the use. And downtown needs more affordable housing, and the University of Arizona needs to build vertically in its own footprint, he says, adding that students don’t typically spend money on Fourth Avenue.